The Third in the Series John Deere ‘Contemporary Legends’ Series limited edition belt buckle. This buckle was die struck in high relief and plated with Copper. Each buckle is individually numbered. All of the buckles are packaged in a gift box. 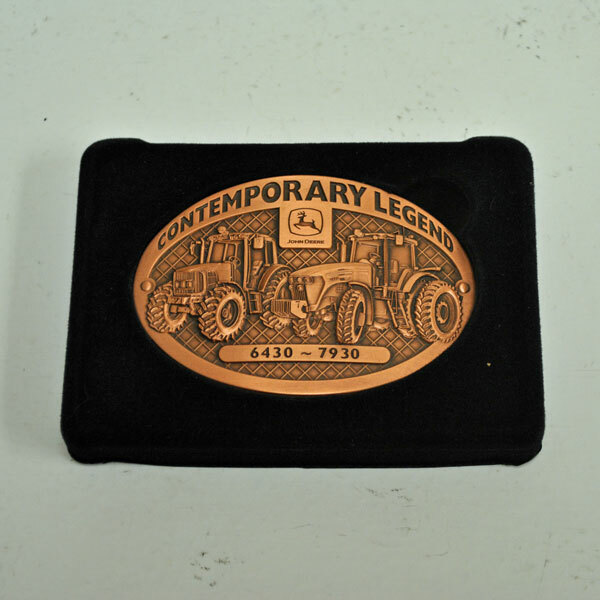 This Limited Edition ‘Contemporary Legends’ buckle features the 6430 and 7930 series tractor.